You know those late nights on Venice Beach? The ones spent lying in the sand staring up at the sky, drifting in and out of consciousness while you consider whether or not it would be okay to doze off right there on the shoreline? And then, just when you&apos;ve decided that it is okay, an LAPD officer shines a bright light in your face and informs you that it&apos;s time to go because the city of Los Angeles has a beach curfew that prohibits public beach access between midnight an 5 a.m.? Well, thanks to lawsuit settlement in court on Thursday, there&apos;s a chance L.A.&apos;s curfew might be washed away with the outgoing tide sometime soon, according to the Los Angeles Times. Back in 2015, a group of Venice activists sued the city over its curfew. They argued that it was illegal for Los Angeles to prohibit access to public beaches, and that the rule violated the California Coastal Commission&apos;s policy of all-hours public beach access. Though the curfew has been on the books since 1988, first enacted to deter late-night beach crime, the activists said it hadn&apos;t been heavily enforced until sometime around 2010. As more homeless people began sleeping on the beach, activists claimed LAPD began stepping up enforcement of the curfew, and disproportionately ticketing homeless people whose only crime was sleeping on the beach. Francesca de la Rosa, a local activist and a plaintiff in the suit, said at the time how "the beaches are for the public. The city can&apos;t make up their own rules where people are supposed to be." The city, by contrast, argued that the Coastal Commission no jurisdiction over the beach, according to the L.A. Times. 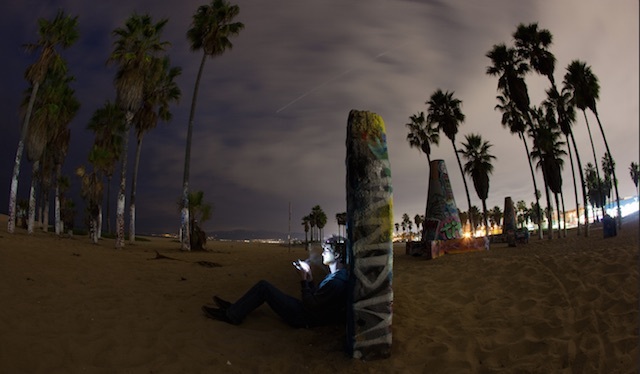 Fast forward to last Thursday, when Los Angeles agreed to a settlement that basically requires the city to seek a permit from the California Coastal Commission for its nightly beach curfew. Another term of the settlement requires LAPD officers enforcing the curfew to issue warnings before citing would-be curfew violators. In the past, the Coastal Commission has criticized the city&apos;s curfew, saying in 2014 how the city needed "credible evidence" that there was an ongoing threat to public safety that necessitated the ban. At the same time, the Coastal Commission isn&apos;t opposed to some sort of compromise. "We start from the position of maximum public access to the coastline," said Coastal Commission enforcement supervisor Andrew Willis to the Times. Whether that means it might soon be legal to be on Venice Beach at 12:01 a.m., time will only tell.